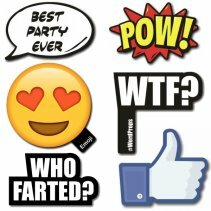 SillyJokes offers a fantastic selection of clearance party supplies, including party balloons, party banners, party candles and much more. 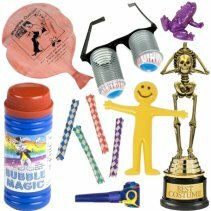 We offer party supplies suitable for a number of occasions, from kid's birthday parties to Halloween parties. 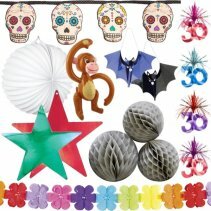 If you aren't sure which party supplies are right for your party, try our party guides section. It's full of great tips and ideas to help you create the perfect party atmosphere. 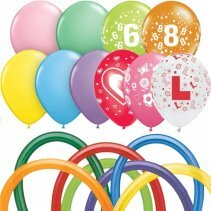 All party supplies orders over £40 are eligible for free UK post and packaging. Buy party supplies online today from SillyJokes. Shimmer curtains, crepe paper garlands, ceiling and hanging decs and masses more to decorate your event. 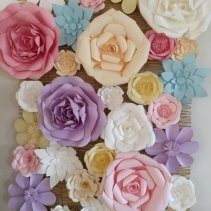 Hand made, Giant Paper Flowers make a stunning back drop for Photo Booths and Wedding Photography or to add a textured feature to your living room. Up, up and away, lots of balloons to choose from. 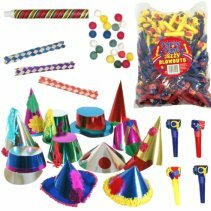 Hats, streamers, throw and blow balls, poppers, noise makers and more fun items for the party table and loot bags. 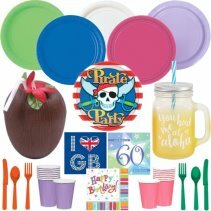 Invitations, plates, cups, napkins and more at less than Recommended Retail Prices. Little gifts, extras, prizes and loot bag fillers. 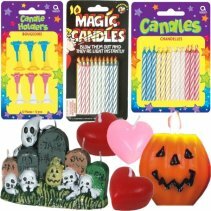 Light up the party with cake candles and decorative candles for Birthdays, Halloween, Valentines and Celebrations. 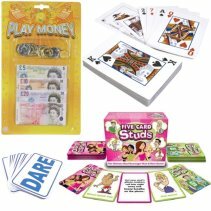 Fun games for childrens parties, garden parties, stag and hen parties. 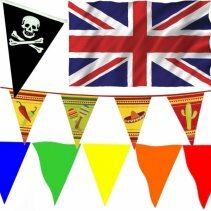 Flags and bunting for all manner of house party, street party, national and international events.